So, have you ever really wondered what the contents of your purse said about you? It wasn’t until I saw this video from Tamera of Tia and Tamera that I thought about it. She’s super hilarious and stylish. Some of the contents in her purse include popcorn and hair extensions lol! To me that says “I’m me and who cares.” but in a funny way. After watching this video, I asked myself..hmmm what’s in your purse?? 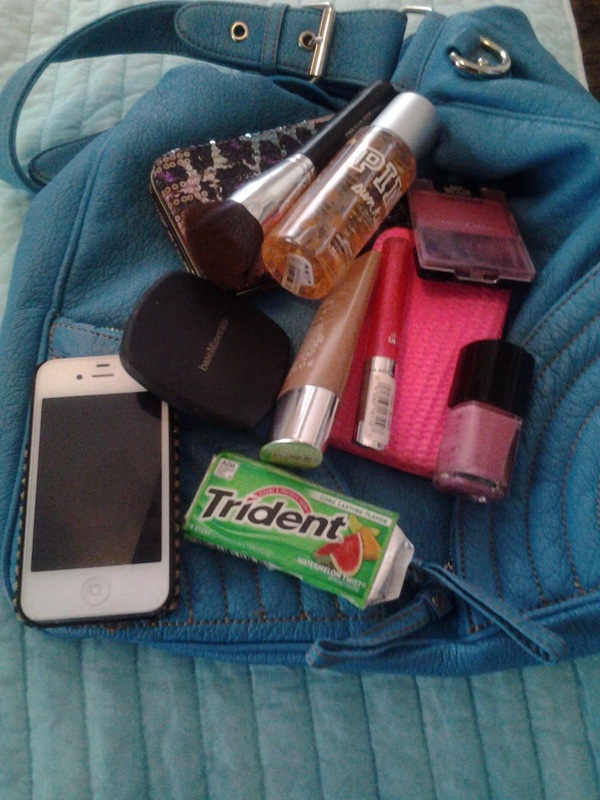 I looked in my bag disappointed that it wasn’t as exciting as Tamera’s lol at least not today because I recently cleaned it out, but there are a few things that I can’t live without and they are: my lip gloss (it’s gotta be poppin’), my phone, gum, blush, and a little smells good from Victoria’s Secret. What does that say about me? I can really relate to Tamera. Now it’s your turn. What’s in your purse?? What can’t you live without? Also check out how you and your bestie can win 2,000 just by taking a picture! Click the link below! Love the article sis! My purse has food, baby toys, make up! I wish that was all that was in my purse. Mine is always too heavy and I still feel like I'm missing something. Great post!